In December, we hosted the New York fintech community at NASDAQ for our last Fintech Central of 2017. Recap of the year here: Q1, Q2, Q3. The event marked the three-year anniversary of Fintech Central and I’d like to thank all of you who actively support the fintech community from coast to coast. Over the years, we’ve hosted founders and executives from companies like Betterment, Coinbase, LendingClub, NASDAQ, Plaid, and Ripple. But for the last installment of the year, we mixed it up a bit and invited some of the top early stage fintech investors to share their thoughts. Matt Harris from Bain Capital, Dan Ciporin from Canaan and Hans Morris from Nyca joined us for the panel discussion. These three investors have backed top fintech companies such as Affirm, Lending Club, CircleUp, Orchard, Acorns, iex, and AvidXchange. While it took less than 30 seconds for bitcoin to be mentioned, Matt, Dan and Hans touched on everything from their thoughts on the current market valuations, to unique characteristics of their own investment processes, and even the companies that they saw and now regret not investing in. One of the conversations that really stood out was about how fintech has changed over the last few cycles. Hans pointed out that fintech received just 1% of venture funding back in 2010, even though financial services accounted for 18% of the S&P 500 and 9.5% of GDP. Today, fintech receives 4% of venture dollars and Matt points to a fundamental shift in fintech as the reason for the increase: historically fintech sold into financial services businesses where as fintech today is attempting to compete with financial services. Even with this explosive growth in the market, Dan cautioned that entrepreneurs and operators need to carefully select the sub-verticals they’re attempting to disrupt. For example, if you ask a VC what they think of adtech (the definition of out of favor) and marketplace lending today, you’ll likely get the same response for each. While marketplace lending is out of favor, the panelists did shed some light on hot areas in fintech right now. At a high level, everyone pointed to insurtech, real estate tech and crypto but everyone also had their own unique perspective. Matt is focused on entrepreneurs who are uniquely qualified to solve a problem that is huge, non-obvious, daunting, and yet the founder has a smart angle to the problem. Dan enjoys investing in companies that are unsexy, and gave an example of his current thesis around credit card fraud vis-à-vis the massive migration to online purchases. Finally, Hans is passionate about enterprise companies, but specifically at the edge of the enterprise where ROI can be illustrated in one year or less. There was also a lively debate around the broader crypto market, with consensus that bitcoin is potentially a very interesting replacement for gold, but also that blockchain serves nearly no purpose in major financial services applications. Matt pointed out that if there’s a 1% chance that bitcoin goes to $1M, that’s a screaming buy, and Dan’s sell signal is when Jamie Dimon starts buying. The challenge is that in valuing bitcoin, there is obviously no reference point, no EPS to point to – it is simply a popularity contest of supply and demand. You can watch the panel in full below, and if nothing else skip to the 36 minute mark where you can hear about some of the most successful companies that they looked at and ultimately passed on. 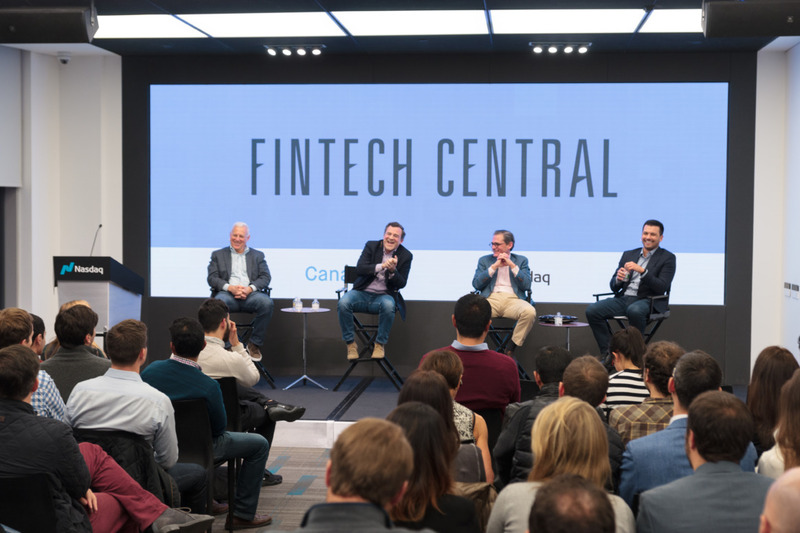 Thanks again to Matt, Dan and Hans for joining us for Canaan’s Fintech Central, this was truly one of my favorite panels to date. Happy New Year to all!